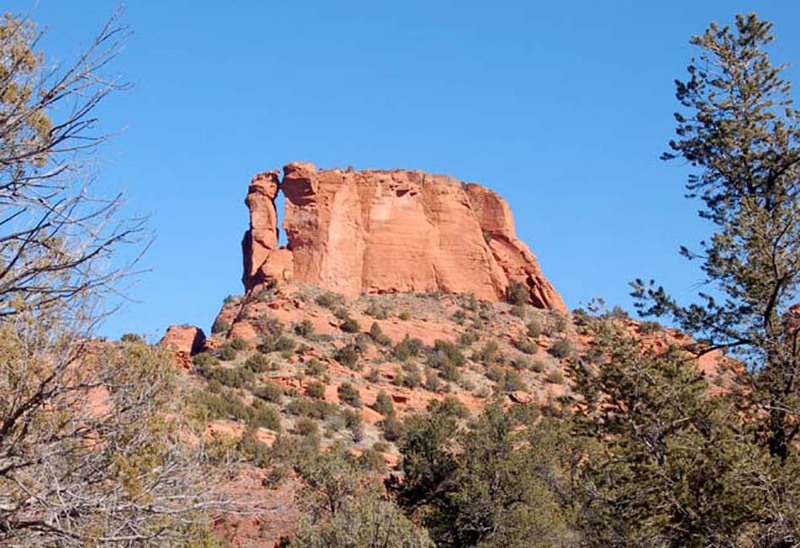 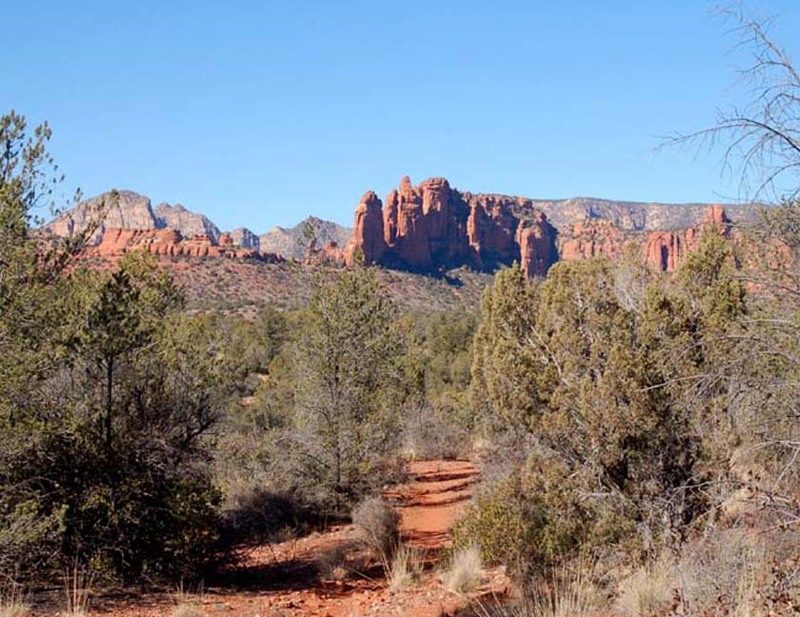 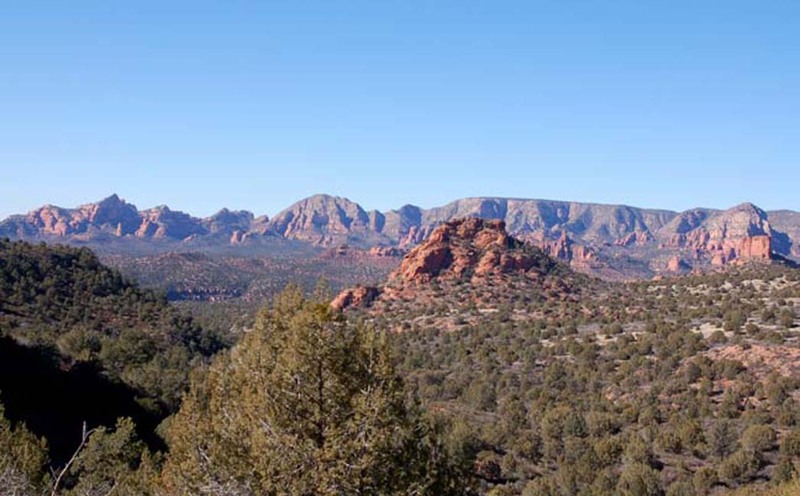 Trailhead Directions: The trail head for the Dogie Trail is about 20 miles from the center of Sedona, most of it on dirt roads (FR 525 connecting to FR 525C), is a bit bumpy but very scenic. 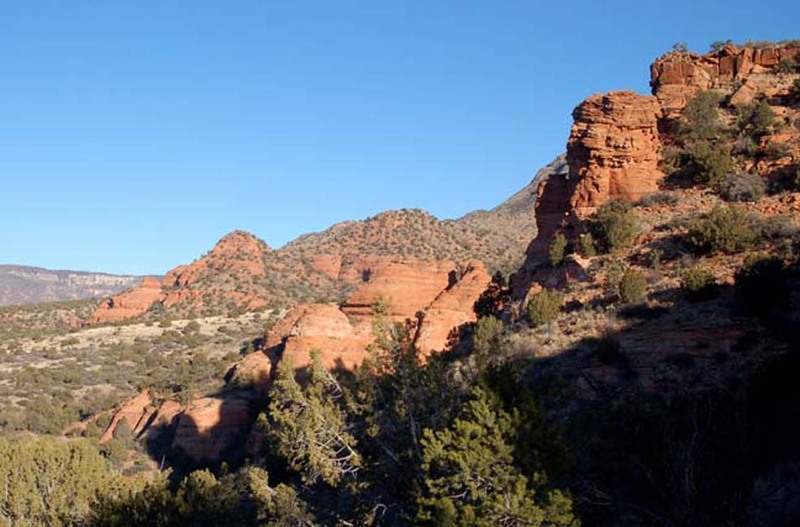 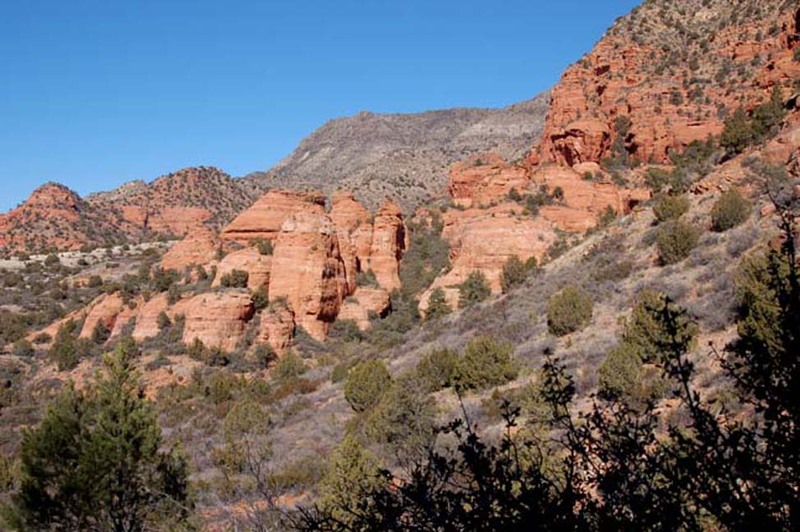 Description: This hike is moderate to hard, and it certainly would be hard if you hike the entire 5+ miles down into Sycamore Canyon. 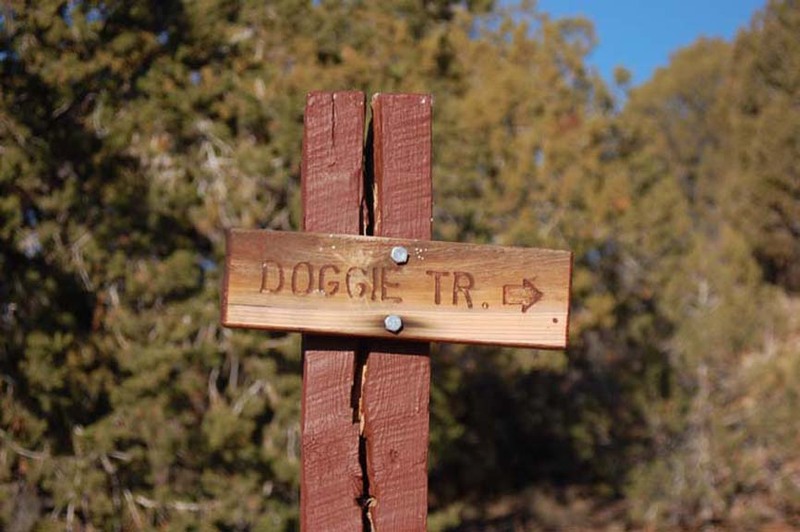 We hiked just 3 miles in, and would rate that as a moderate hike. 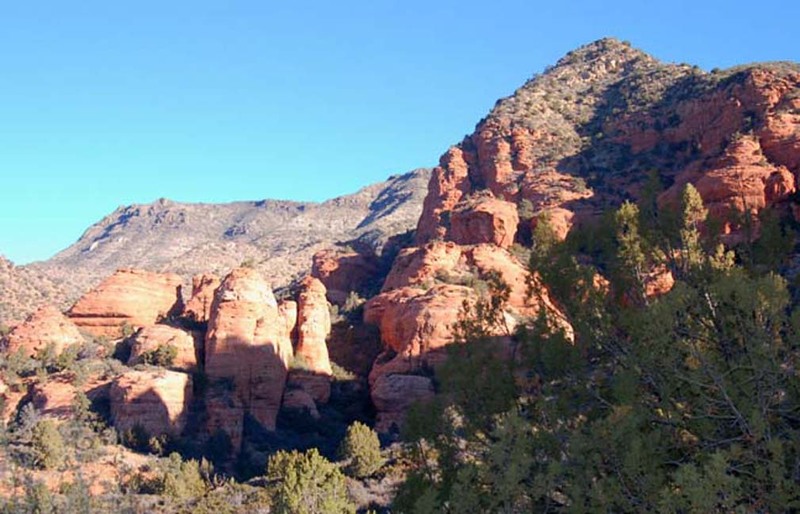 But it's a "down-up" hike (that is, descending trail on the way in, ascending on the return when you're getting tired), so use good judgment about when to turn around.